Saudi Arabia, United Arab Emirates (UAE), Bahrain and Egypt have denied they mulled military action against Qatar in the lingering crisis between them and the tiny gas-rich country. 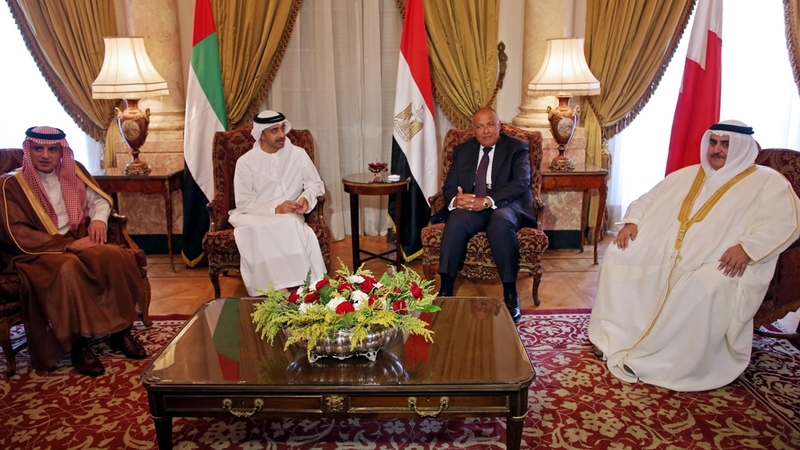 “The Quartet regrets what the Emir of Kuwait said about the mediation succeeding in preventing a military intervention. (The Quartet) stresses that the military option was never — and never will be — an option in any way,” the Saudi-led side said. The Kuwaiti ruler has been playing a mediation role between the opposed sides. He was in Washington to seek US support in defusing the crisis. Qatar has been embroiled in a crisis with the quartet since June 5 after the four busted air, sea and ground links with Doha that they accuse of supporting terrorism. Qatar through the voice of its foreign minister Sheikh Mohamed Bin Abdulrahman Al-Thani rejected the demands, saying they damage Qatar’s sovereignty. Shortly after the meeting between Trump and the Kuwaiti ruler, the top Qatari diplomat noted that Doha “will not enter into negotiations with pre-conditions”. The self-called Anti-Terror Quartet (ATQ) slammed Doha’s behavior pointing out it is not serious about the demands. Tuesday, Saudi foreign minister Abdel Jubeir told reporters in London that the quartet anticipated the stalemate will hold for some time. If the Qatar crisis continued for another two years “so be it”, he said, adding that the four could press additional sanctions against Qatar. “We are ready for the continuation of the crisis with Qatar… we will decide whether there are other sanctions on Doha, according to the circumstances,” Jubeir said. Last revised by: Jaber Ali, our reviewer, on September 12, 2017. Posted by KanelkaTagba on Sep 8 2017. Filed under Gulf News, Headlines. You can follow any responses to this entry through the RSS 2.0. Both comments and pings are currently closed.